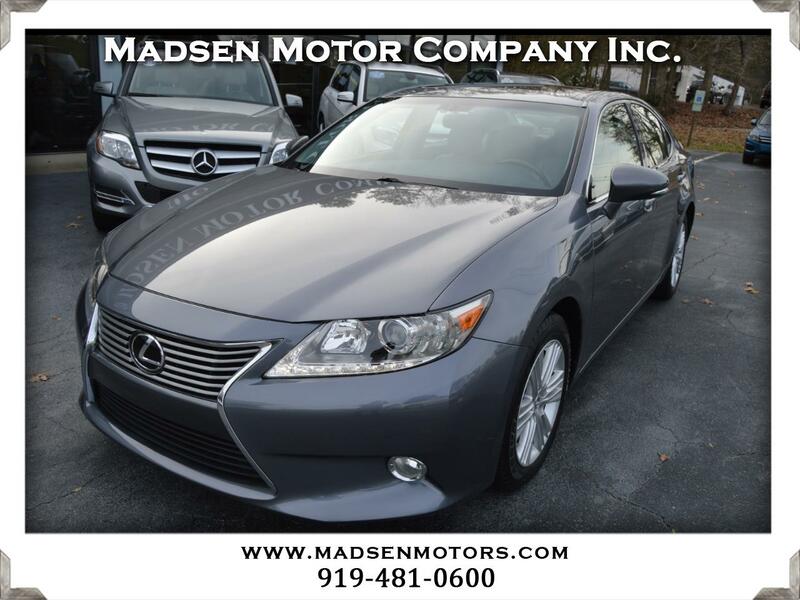 Used 2014 Lexus ES 350 Sedan for Sale in Raleigh, Durham, Cary NC 27511 Madsen Motor Company Inc.
Don't miss this 2014 Lexus ES350 with only 31k miles! This stunning car is Nebula Gray Pearl with Light Gray Interior and is loaded with extras including Heated & Ventilated Front Seats, Blind Spot Monitor with Cross-Traffic Alert, Backup Camera, Satellite Radio, HD Radio, In-dash CD Player, Premium Package (including Espresso Bird's-Eye Maple Trim, Lexus Memory System for Driver's Seat, Outside Mirrors, and Steering Wheel, Remote Keyless Entry-linked Memory), Intuitive Park Assist, Wood & Leather Trimmed Shift Knob & Steering Wheel, 17'' Split 6-Spoke Wheels, and much more. You'll also get a clean, 1-owner CARFAX history and the balance of the Lexus Powertrain Warranty until 10/3/2020 or 70,000 miles, whichever comes first. Buy with confidence from Madsen Motor Company - voted ''Best Pre-Owned Car Store'' 4 years in a row in the Best of Cary awards! Please call Craig or Wayne Madsen at 919-481-0600 for more information or stop by our showroom in Cary. Madsen Motor Company is located at 902 E. Chatham St. in Cary next to the WakeMed Soccer Park. Since 1991 the Madsens have earned the best reputation in the Triangle for exceptional cars that are hand-picked, meticulously prepared, and priced right. Message: Thought you might be interested in this 2014 Lexus ES 350.